The Fixman 3pc Chrome Vanadium Steel Keys Set is made to get the job done. This multi-tool set features superior aluminum handles and rust resistant chrome vanadium steel keys. It offers a variety of metric, star and imperial hexagon keys. 3 pc Chrome Vanadium Steel Keys The Fixman 3pc Chrome Vanadium Steel Keys Set is made to get the job done. 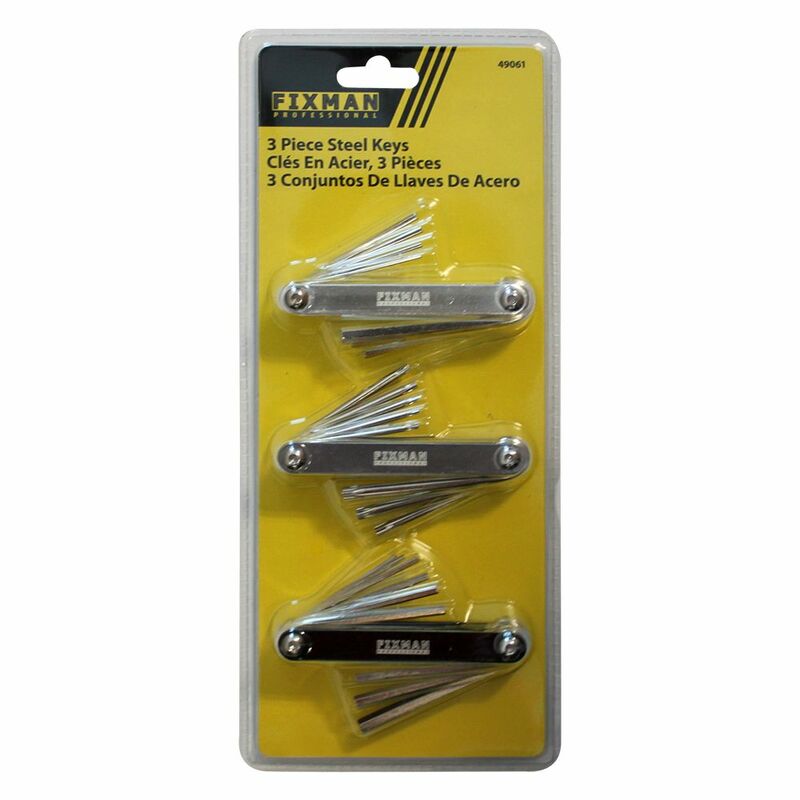 This multi-tool set features superior aluminum handles and rust resistant chrome vanadium steel keys. It offers a variety of metric, star and imperial hexagon keys.